Is your Jeep Grand Cherokee safe to drive? For now, that remains an open question. The National Highway Traffic Safety Administration says the gas tanks on many of the older Jeep Grand Cherokee and Liberty SUVs are a safety hazard. The federal regulator wants Chrysler to take 2.7 million of them off the road until the risk of fire in a rear-end accident is fixed. Chrysler is refusing the recall, and just as adamantly saying that the SUV meets safety standards. The automaker's refusal is nearly without precedent, raising numerous questions. Here's what is known right now. What is the government's position? NHTSA says that the plastic gas tanks on the 1993 to 2004 Jeep Grand Cherokee and the 2002 to 2007 Jeep Liberty are too susceptible to spilling gas when hit from behind, and that can cause fires. It says it knows of at least 37 accidents that caused fires and resulted in at least 51 deaths. Safety advocates such as the Center for Auto Safety, believe that the deaths from the defect are much higher. What does Chrysler say? Chrysler argues the SUVs are safe. It says the design of the gas tank -- behind the rear axle -- is common in many other vehicles and that the car is well within safety standards. It argues that NTHSA did an incomplete analysis of the underlying data and almost all the fatal accidents cited are the result of high-speed, high-energy crashes where a different design would not have saved the vehicle's occupants. Chrysler said that the center's figures greatly overstate the number of deaths caused by rear-end crashes and fires, and it even disputes the lower estimates from NHTSA. Are the current models of the cars also at risk? No. Both models were redesigned years ago and the gas tanks are now in front of the rear axle. That change makes the tanks far less at risk of rupture in the case of an accident. What happens next in the standoff? NHTSA will wait until June 18 to see if Chrysler changes its mind on the recall request. Then it will hold a public hearing at which Chrysler, safety advocates and other interested parties can make arguments. NHTSA will then weigh the testimony and decide whether to order an involuntary recall within 30 to 60 days. If Chrysler still refuses to go along with the recall, NTHSA can then go to court to seek a recall. That court fight can take years. But NHTSA's track record in court fights of this kind is very good. Will the resale value of the affected Jeep Grand Cherokees plummet? It's too soon to say. Typically recalls do not have much impact on the price of the used cars. When Toyota Motor (TM) was hit by a massive recall problem in 2010, the price of the affected models fell only about 2% to 3% according to Alec Gutierrez, senior analyst at Kelley Blue Book, which tracks prices. But once those problems were fixed, the prices went back up. "This is rather unprecedented," he said. "You could definitely see an impact to the value, especially if current owners or used car buyers shy away because of the perception of risk." 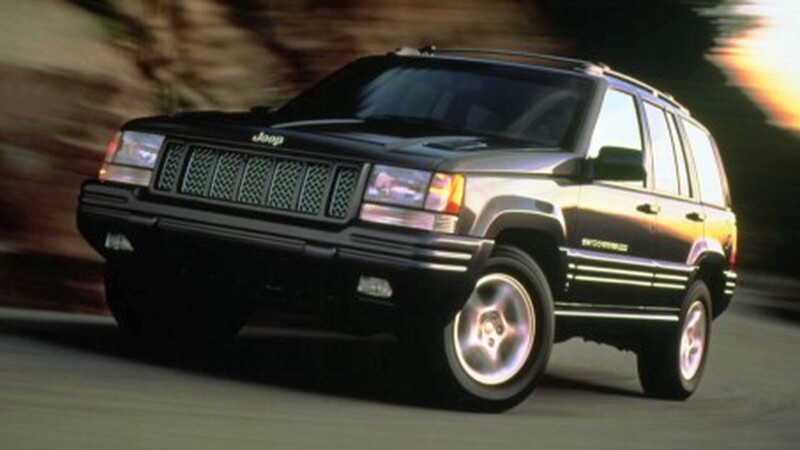 Can Grand Cherokee and Liberty owners fix the problem themselves? Kind of. Both cars were offered with an optional steel skid plate that goes over the gas tank and protects it when it is driving off road. Clarence Ditlow, executive director for the Center for Auto Safety, the leading advocate for the recall, said that the plate can be installed for about $300 and it will reduce most of the risk. "I would advise consumers to do this; it would eliminate the most common failure," said Ditlow. "Just save your receipt, you could get the money back once there is a recall." But Ditlow said his group also wanted an improved gas filler hose and a better valve for the tank, and neither of those options are available on the market.